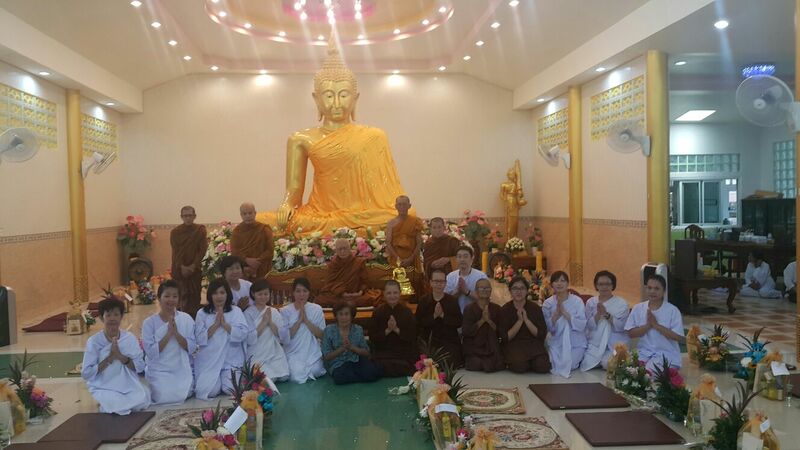 Khun Mae wishes to sincerely thank donors and supporters for making this event a successful one. Sadhu for your contribution and for the assistance provided by those who were present in the event. 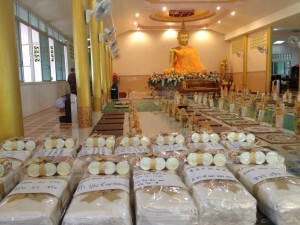 Below are the photos taken on the Hungry Ghost Event offering. 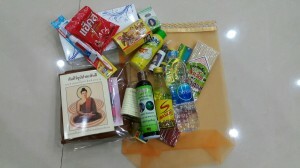 Above: Items offered in the Sanghadana. 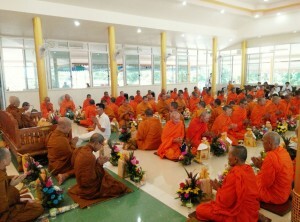 There are also monks robes. 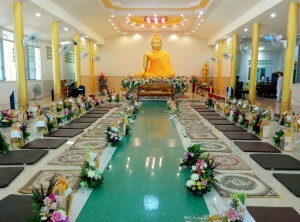 Above: The hall being arranged the night before by participants. 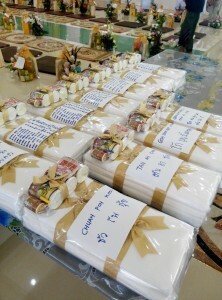 White cloth offered to monks- these white cloth would be used to dye into monks robes during kathina. 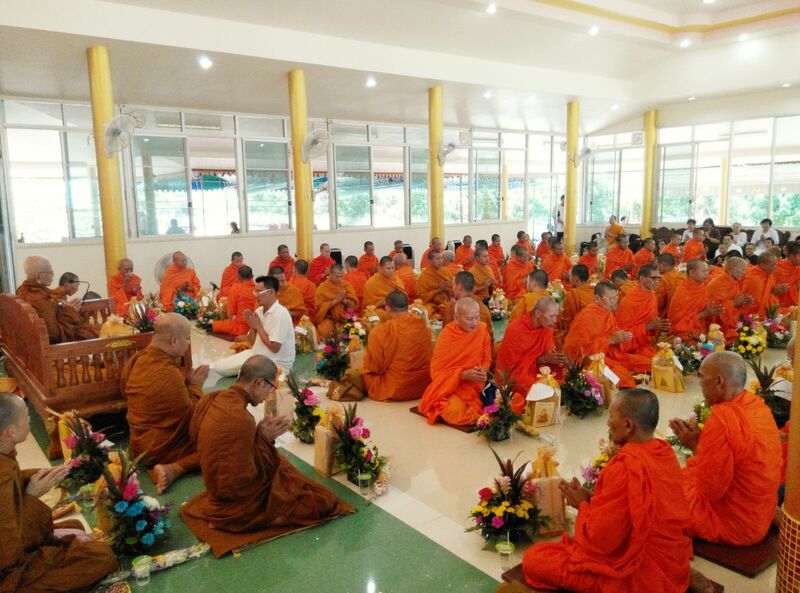 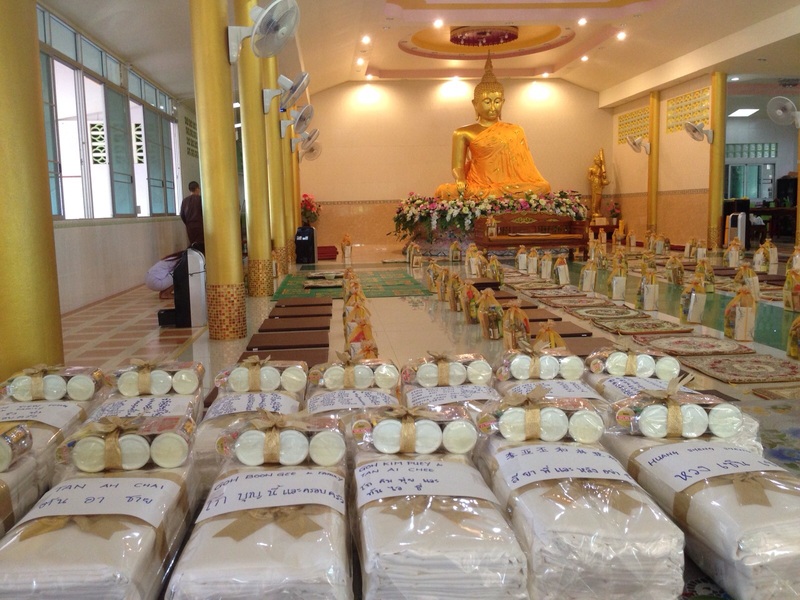 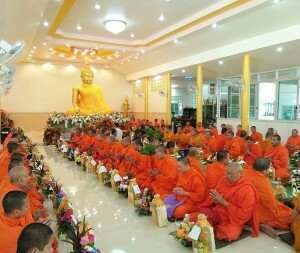 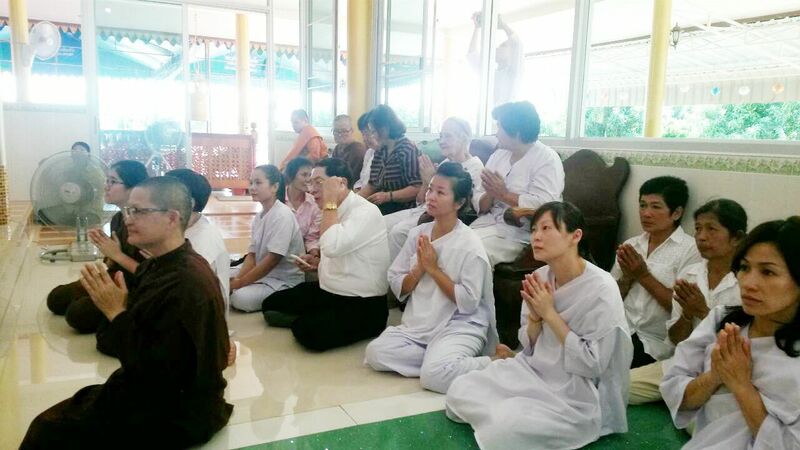 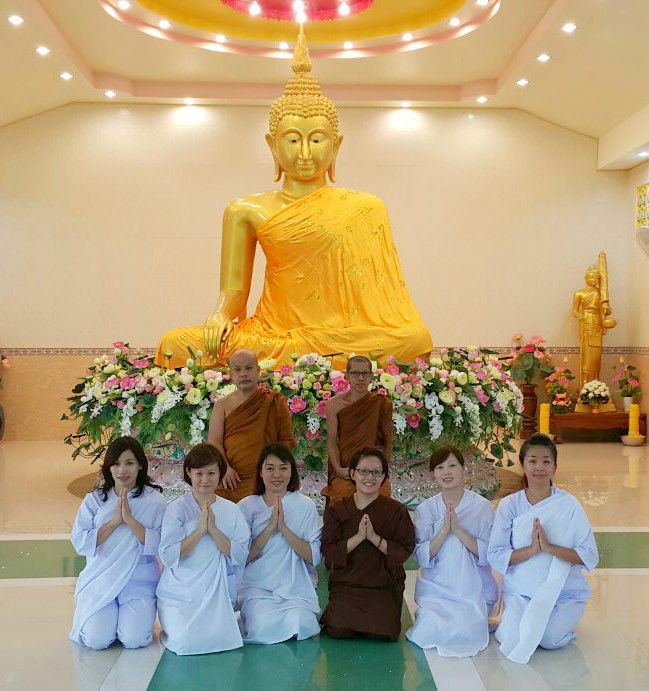 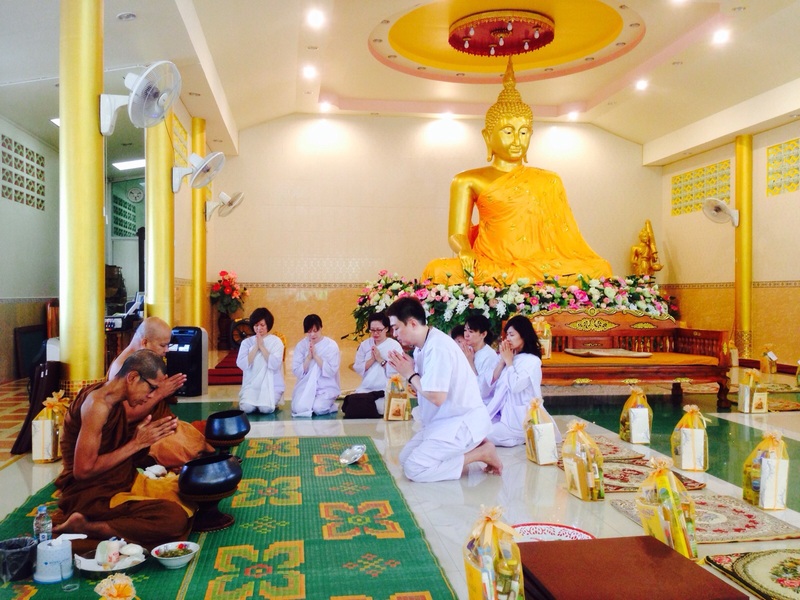 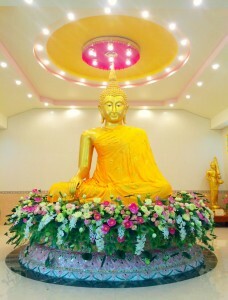 9 September 2015: Sanghadana offerings to Luang Phor and monks. 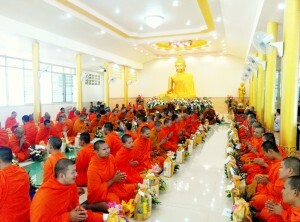 In total 95 offerings were presented (please view donors listing).